With more restaurants per capita than any other city in the United States, San Francisco has something for everyone. Whether you’re looking for a spot with a striking view, impressive menu, or to meet a specific diet, there’s absolutely an option. But where are the best restaurants in San Francisco to bring clients for lunch? We’re here to help! We’ve hand picked a few hip places that are sure to impress! 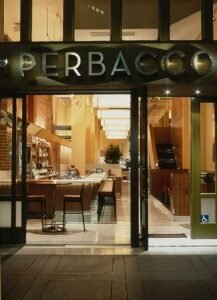 A sleek, contemporary spot with traditional roots, Perbacco is a great option for an Italian lunch with clients. The food has topped “Best of” lists regularly and offers seasonal flavors, house-made prosciutto, and salumi, among other favorites. Perbacco’s lunch menu boasts a variety of appetizers, robust main courses, or delicious tapas style dishes. Leo’s is a fun spot with bright, colorful decor, and well-reviewed cuisine. Diners can indulge in the cocktail bar with vintage champagne and cold, raw bites, the baked or fried hot oysters, or choose from the selection of soups, salads, small or large plates. 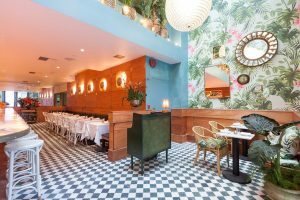 Leo’s is a fun, relaxed, local favorite restaurant in San Francisco, and a great spot for the right client! Where do you take the clients that have a specific diet? The vegetarian clients? 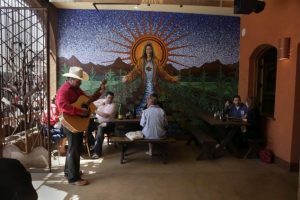 Gracias Madre is a plant-based Mexican Cuisine spot dedicated to clean eating and traditional Mexican flavors. Pleasing even to meat-eaters, choose from hearty bowls, tasty salads, a la carta tacos, tostadas, tortas and more! The menu is based off of what comes out of their Organic farm, so be ready for seasonal, fresh, farm-grown comida! 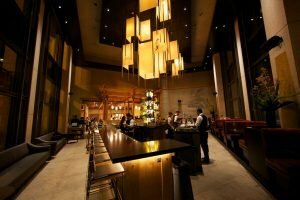 An Izakaya Style Japanese Restaurant, PABU delivers on flavor, presentation, and modern takes on traditional dishes. 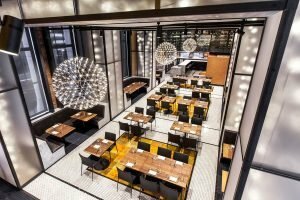 Known for award winning sushi, sashimi, small plates, grilled items and premium sakes, PABU is one of the best restaurants in San Francisco to dine with clients in a modern, tasteful setting. Greens is one of the most celebrated vegetarian restaurants in the world. Since 1979, it has continuously ranked highly in the charts of food, wine and design reviews and been part of the Top 100 Bay Area restaurants. 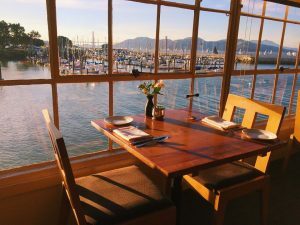 The stunning views of the Golden Gate Bridge can be marvelled at through the floor to ceiling windows, and the fresh, meatless cuisine can be enjoyed in the airy setting. Greens is sure to impress your vegetarian clients! Mourad masterfully honors traditional Moroccan flavors using local and artisanal ingredients. With hearty favorites like couscous, lamb and slow-cooked short rib, light dishes are also available for smaller appetites. Meeting in a bright, modern space, combined with the rich flavors of the food, your clients are sure to feel inspired! We hope you enjoy our choices for best restaurants in San Francisco. These are great places to build rapport with new clients, and to build on your client relationships with existing clients! Choose the restaurant that best suits your business’ style, as well as your client’s diet. It will show your appreciation of their business, and your attention to details. Buen Provecho! If you are looking at a business trip to San Francisco, contact us and let’s make it a success together!